Are the Benefits of Chocolate Misleading? 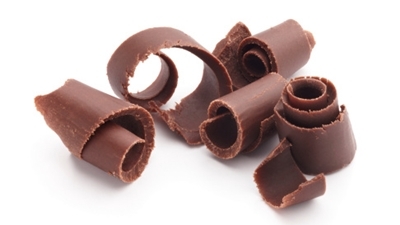 Home > Food Facts > Sweets > Are the Benefits of Chocolate Misleading? In the last several years, there has been some reports published which indicate that chocolate has some important and interesting health benefits. found in chocolate. Like the consumption of red wine, chocolate was no longer seen as just a pleasurable vice. Recent evidence is now providing more clarity regarding the possible role chocolate has in human health. A new Dutch study looking at the effects of chocolate upon arterial function has indicated that chocolate intake may improve the way the inner-most area of the artery, called the endothelium, functions. Researchers took a group of 29 overweight and obese adult males and utilizing a randomized, double-blind study design, gave them dark chocolate to eat for four weeks. During this time, blood samples were collected and tests measuring blood flow were completed. The results of the study indicated that people who ate the dark chocolate had better blood flow rates through their arteries and had lower blood levels of chemicals that encourage the inflammatory response in contrast to those who did not consume the chocolate. The preliminary results of this study indicated that the consumption of chocolate had similar effects upon the inner walls of the artery similar to the effects that the consumption of other high-flavanol substances such as red wine or spices typically have. In this study, the subjects were given 70 grams of chocolate to eat on two consecutive days followed by a one-week washout period during which no chocolate was consumed. Then they were asked to eat the same amount of chocolate but enriched with flavanol. The flavanol addition did not influence the effects upon the artery or the level of inflammatory chemicals. The subjects were also asked to consume different types of chocolate over a four-week period followed by a four-week washout period. The results of this part of the study indicated that there were no significant differences between endothelial function and levels of inflammation in the subjects who consumed the regular dark chocolate or the flavanol-enriched chocolate. However, dark chocolate consumption was associated with a one percent improvement in arterial blood flow in all subjects. Although a one percent improvement doesn’t sound too impressive, this translates to a 13% risk reduction in cardiovascular events! The positive effects of consuming dark chocolate is attributed to the antioxidant flavanol chemicals found in cocoa. Since dark chocolate contains a higher concentration of these chemicals, the consumption of this type of chocolate may be advisable as a method to reduce the risk of developing atherosclerotic disease of the arteries. The current recommendation of consuming chocolate that contains a concentration of 60% cocoa is probably an excellent idea since extra amounts of flavanols typically found in chocolate containing higher amounts of cocoa have been shown to be necessary in providing the added health benefits of chocolate. Stiles, S., “Dark Chocolate ‘Treats’ Vasculature, but Added Flavanols Don’t Help,” Medscape web site; http://www.medscape.com/viewarticle/821657#1, last accessed March 15, 2014.